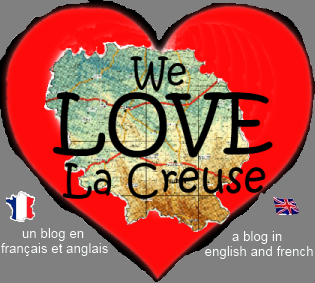 23500 raisons pourquoi we love La Creuse: First there was the national days of wool now it's European Days of Felt... but you have to book early! First there was the national days of wool now it's European Days of Felt... but you have to book early! When we opened this vegetarian bed and breakfast in the town of Felletin (located in the south of La Creuse, a beautiful, undiscovered part of Limousin in central France), we would never have imagined that festivals celebrating wool and felt would be our busiest time. This year, in October 2009, Felletin will be hosting the 10th annual Days of Wool (Journeés de laine). Last year we were fully booked (and turning people away). This May (1st May-4th May 2009) is the first European Days of Felt (Journeés de feutre), and it looks as though it may be even bigger, and more popular. We have been fully booked for those dates for a month or more, and have already had to turn down bookings. This has spured us on to try and complete the third letting room (currently we have 2 large chambres d'hôtes and 1 apartment which sleeps 4) - so watch this space if you are disappointed you have missed out on the place to stay for those dates. A full account (including pictures) of days of felt will be posted here, for those of you who are unfortunately unable to attend. Click here for felt facts!